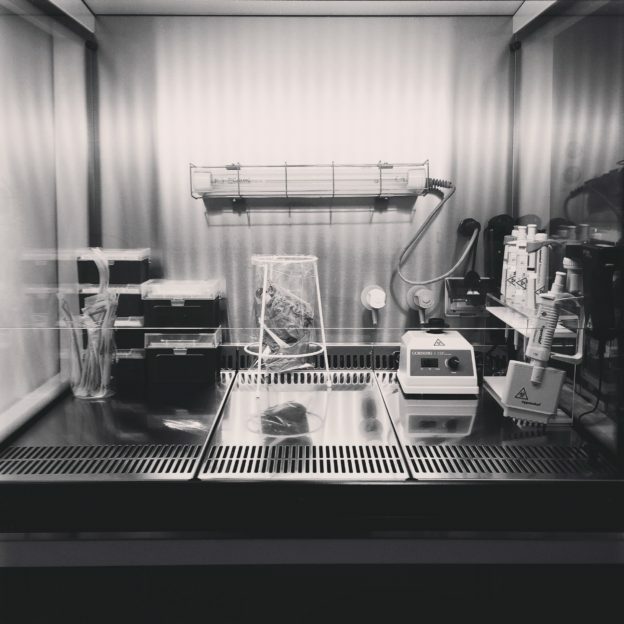 In 2017, artist Sarah Craske has been in the depths of a synthetic biology lab, working in the Bioprocess Laboratory (BPL), ETH Zürich in Basel, Switzerland as part of the Biofaction Artist in Residence programme. She had been invited to work alongside research scientists and bioengineers who had participated in the research project SYNPEPTIDE. This 4-year programme aimed to design new peptides that could stop bacterial cell function, with the hope to find potentially new antibiotics as part of the broader fight against antibiotic resistance. To dare your enemies and release their hold….. Here meet the fierce enemy, who will arm you well! Theriak – A poem announcing its availability by a pharmacist in Konigsberg, 1683. 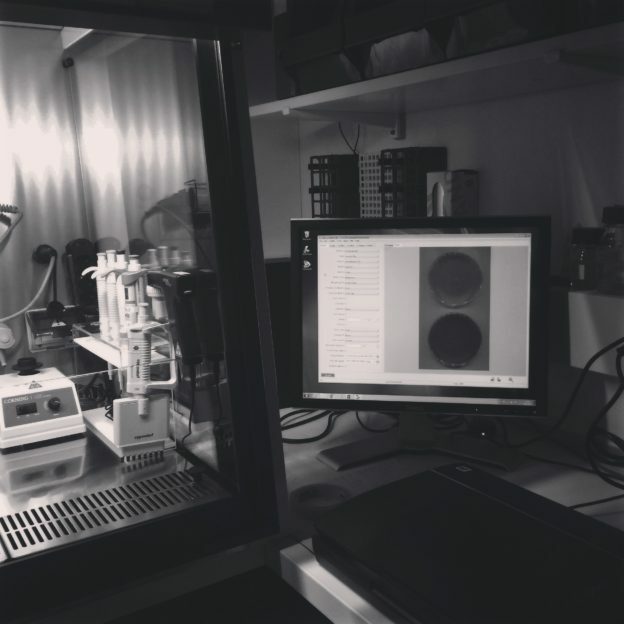 This year I have found myself in the depths of a synthetic biology lab, working in the Bioprocess Laboratory (BPL), ETH Zürich in Basel, Switzerland as part of the Biofaction Artist in Residence programme. I had been invited to work alongside research scientists and bioengineers who had participated in the research project SYNPEPTIDE. This 4-year programme aimed to design new peptides that could stop bacterial cell function, with the hope to find potentially new antibiotics as part of the broader fight against antibiotic resistance. 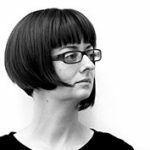 My role as artist in residence, is to ‘ignite a cross-disciplinary exchange’ whilst learning and engaging with their current research. 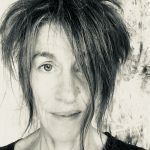 As I started to immerse myself in their practice and develop new work and ideas, it also became a great opportunity to reflect on and test my own research on transdisciplinarity. 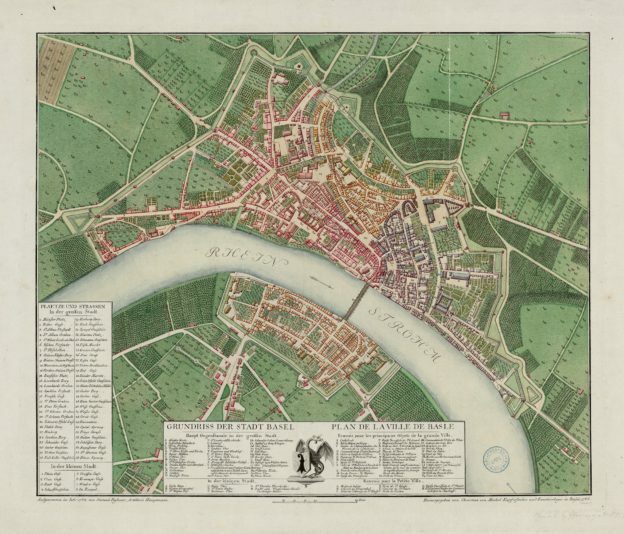 Basel has an extensive history with the chemical and pharmaceutical industries which developed from the 16th century silk trade and the manufacture of man-made pigments. Johann Rudolf Geigy-Gemuseus began trading in 1758 in “materials, chemicals, dyes and drugs of all kinds”. Global companies like Novartis, who are still based in Basel, can trace their corporate routes back to these original companies through historic mergers and acquisitions. Furthermore, the Mittlere Brücke is one of the oldest bridges to cross the Rhine (1226), so Basel became and has maintained its status as a centre of trade – not just in goods, culture and ideas, but one could also argue – in disease. 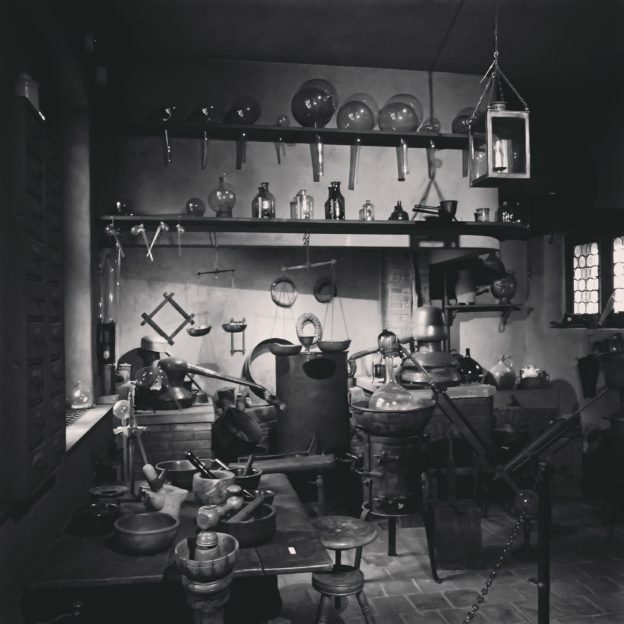 The Pharmacy Museum, University of Basel. My research led me to the Basel Pharmacy Museum which is one of the world’s largest collections of pharmaceutical history. It features complete pharmacy interiors, an alchemist’s laboratory, medicines from across the globe from BC to the present day, and an extensive pharmaceutical manufacturing archive. Interested in Basel’s disease history, whilst liaising with the museum’s academic team, I learnt that The Black Death swept across the city from 1349-1352 and since, the plague has struck the city several times. I also discovered that Basel had a famous skeleton wall mural, the Dance Macabre (Basler Totentanz), which is believed to have portrayed late medieval and early modern epidemics. The city also experienced an outbreak of syphilis around 1495, which was documented through poetry by the humanist Sebastian Brandt (1457–1521). In the 19th century, the city suffered several outbreaks of typhus and cholera which changed the architecture of the city dramatically through the introduction of sewers and the moving of waterways. Basel’s fight against tuberculosis laid the foundation for the creation of Sirolin, the first commercial success of the pharmaceutical company Hoffmann-La Roche, which was founded in Basel, in 1896. The Bac7 peptide in a length of 19 amino acids. In nature, it successfully finds its way into a bacterial cell’s ribosome and inhibits translation, which means that it stops the ribosome’s ability to function and the cell subsequently dies. Her research includes examining its effectiveness if the length is shortened at different intervals and whether she can engineer a more effective Bac7, which could then potentially be used in the creation of a novel antibiotic. 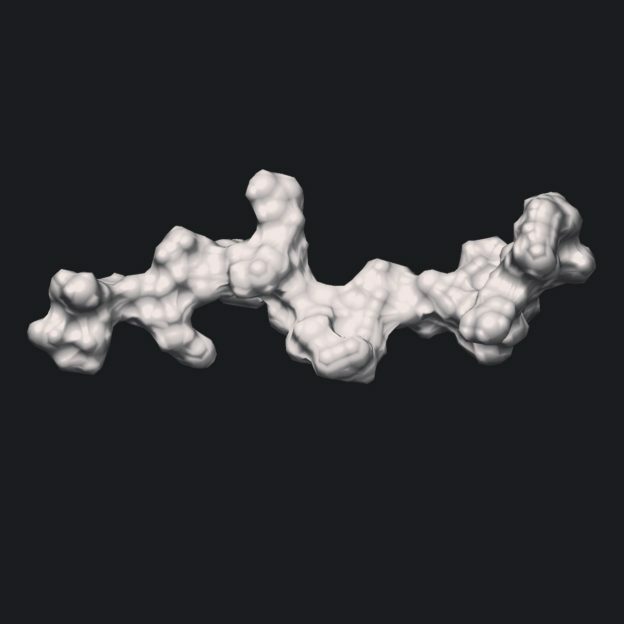 To help me understand what exactly it was I could be working with, I found myself determined to know what the peptide Bac7 ‘looked’ like, even though it is imperceptible to the human eye. This led to 3D printing the molecule as well as spending a couple of days observing Irene with Dr Vincent Lebrun in the University of Basel’s chemistry labs, chemically synthesising Bac7. 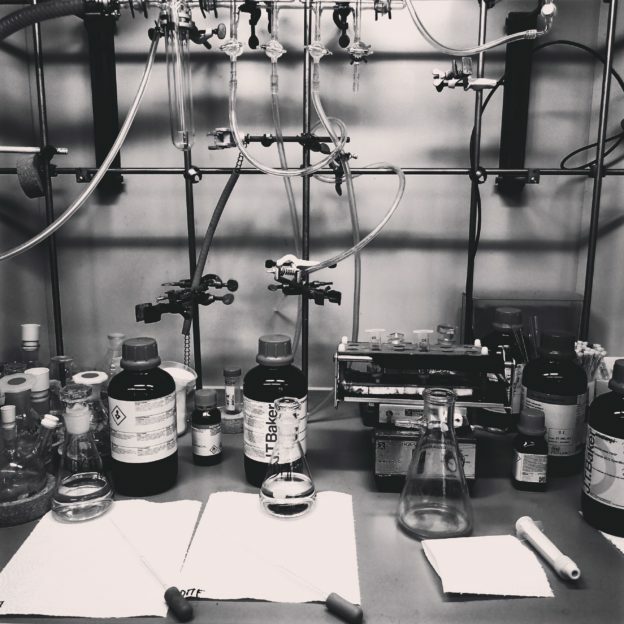 Chemical synthesis was a much more practical in approach than the experiments I had been observing at ETH Zurich. Irene and Vincent were quite literally sticking amino acids together and talking about things in a material sense. Furthermore, it became clear that some of the methodologies used in this process, were actually similar to the ones I would use in my studio, but obviously at a much smaller scale. During my second visit, I started to design my own experiments, reflecting on what I wanted to use as my own materials, rather than the ones initially presented in the lab. 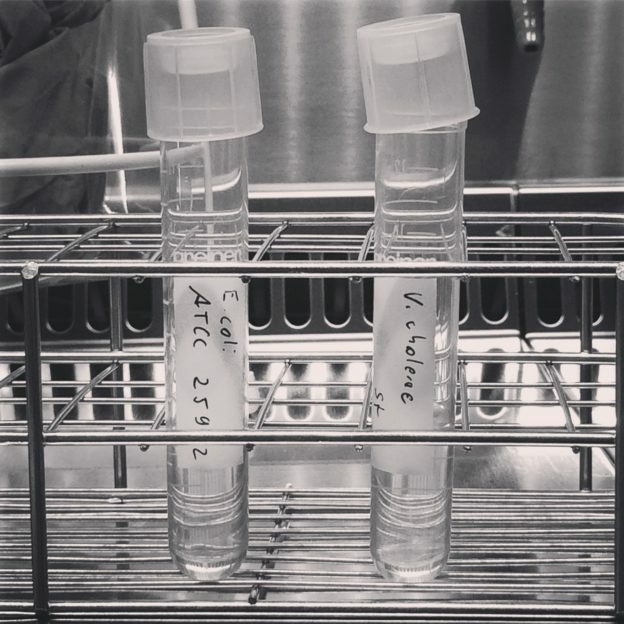 The team regularly use E-coli which has been developed into a model organism for lab work. However, when researching about the cultural context of this bacteria, it didn’t feel the right material to work with. The fight against antibiotic resistance is governed in part by the World Health Organisation. They publish a list of priority pathogens for research and development of new antibiotics, however again, the cultural references didn’t seem appropriate. I noticed for example that colloquially, A. baumannii is referred to as ‘Iraqibacter’ due to its seemingly sudden emergence in military treatment facilities during the Iraq War. I didn’t necessarily want to talk about war in my own artwork. I did want to work with a gram-negative bacterium, which is a bacterium that has two cell walls for an antibiotic to pass through (as opposed to one), as this type of bacteria is now the current global research priority. 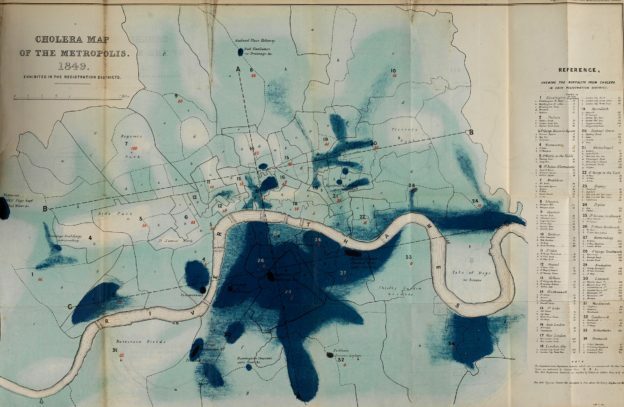 Richard Grainger’s ‘Cholera Map of the Metropolis’, 1849. I revisited Basel’s history and looked at its major epidemics. The five significant bacterial diseases were cholera, the plague, syphilis, typhus and tuberculosis. Only cholera was potentially a low enough biosafety level classification to work with, at a biosafety level 2, but even that caused complications. The more I read about cholera, the more suitable it seemed to be for the artwork. It contributed to the architectural restructuring of Basel, it was during cholera epidemics where the world realised that the disease was microbial and carried in water, and there is currently a horrendous cholera epidemic in Yemen that has infected over 300,000 people. Despite it being easily treated in the West with good hygiene practice, vaccines and antibiotics, it is already demonstrating antibiotic resistance. Furthermore, the epidemics in Yemen have highlighted the huge wealth gap that occurs across the globe and how that plays out across politics, scientific research and frontline medicine. Cholera has appeared upon our pages in various forms, from disease maps to cartoons. It were the disease maps in particular that I thought I could perhaps reinterpret. 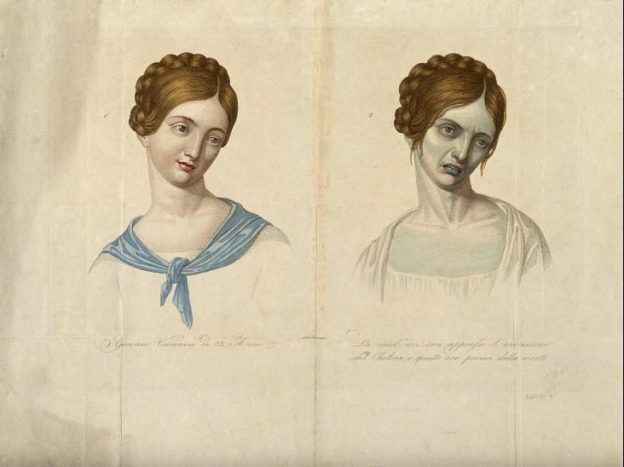 “A young Viennese woman, aged 23, depicted before and after contracting cholera”. Coloured stipple engraving, c.1831. Wellcome Library, London. This led to me researching historic remedies for cholera, wondering whether I could combine historic approaches with technologies and methods used by synthetic biology. I discovered medieval recipes that included garlic and a panacea call Theriac. Theriac or Theriak, was first created in the 1st century AD, by the ancient Greeks and lasted hundreds of years. At its height, it was one of the most expensive medicines available with over 64 ingredients. Using the amino acid as an alphabet, I have since created my own peptide called THERIAK. This, as written, is a peptide made of 7 amino acids and I hope to be able to use this peptide as an antibiotic against cholera, demonstrated through a living disease map. 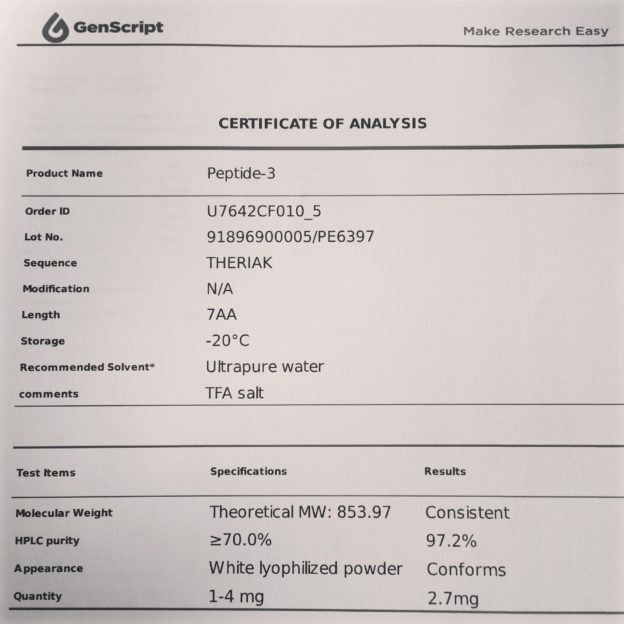 My peptide fully synthesised and ready to be used. Throughout, we have experimented with both E.coli and Cholera to compare well known experiments, with my more unfamiliar ones. Starting to experiment with dyes and timelapse of the cholera growing across and an agar plate. I hope to inoculate a map of Basel with cholera, and then demonstrate it’s death when inoculated with THERIAK. Working with both Irene and Dr Steven Schmitt, collectively we are in the midst of a lot of trouble shooting and experiment design to ensure success. 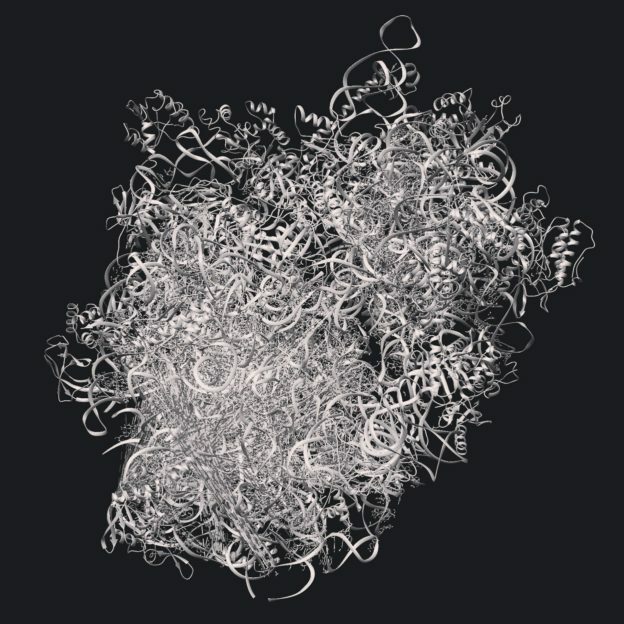 We have managed to develop a technique to weaken the cholera’s cell walls to allow a peptide through to then disrupt its ribosome for example. We are also developing and testing dyes to indicate the life and death of the cholera, as it grows and recedes across the map and a time-lapse technique to record the activity. This research is most definitely focused on the visual outcome, rather than any real chance of developing a novel antibiotic which takes years to achieve. The work will be complete by the end of September, and we hope to exhibit the film and installation in Basel’s Pharmacy Museum. We have been generously supported by the EC grant 613981 SYNPEPTIDE.